I took this photo in the Manning Park lodge at the end of September. We shared a meal with him – he even paid for us, much to our surprise. He had just completed the Pacific Crest Trail. 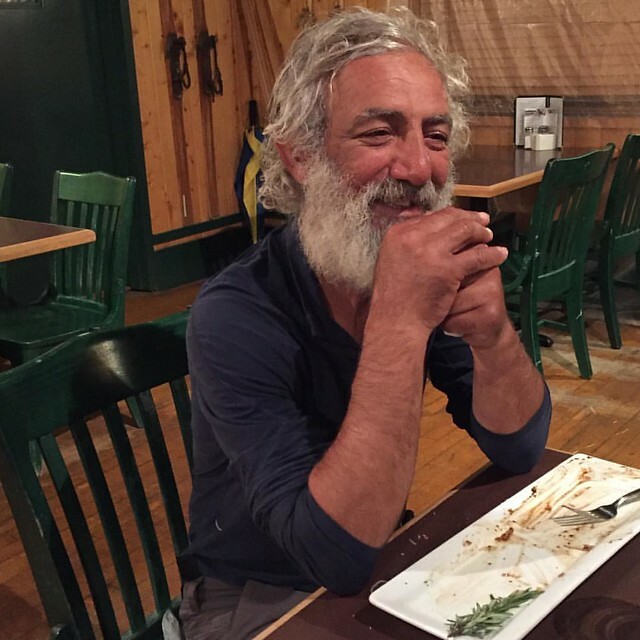 It took him five and half months to walk from Mexico to Canada – over 4,000 kilometres through some of the roughest terrain imaginable – from deserts to high mountain passes. He did it alone. Most the other hikers arriving at the lodge did the trail in groups, and all were much younger. He is of my generation – over sixty. It is not the toughest thing he has done – or plans to do. He is building a boat and plans to sail it single handed around the world.